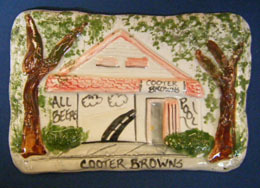 Cooter Brown’s Clay Creations Plaque Clay Creations are handmade sculptures primarily of New Orleans and the Gulf Coast. 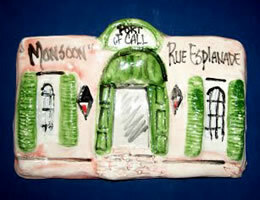 The pieces are sculpted from white clay, hand-painted and fired twice in a high temperature kiln. 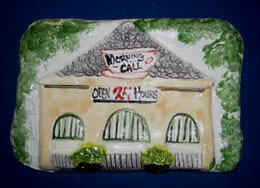 Countless unique pieces from over 1,000 different Clay Creation designs have been formed over the years. They include homes, churches, schools and businesses. Some of which just “ain’t dere no mo!”.